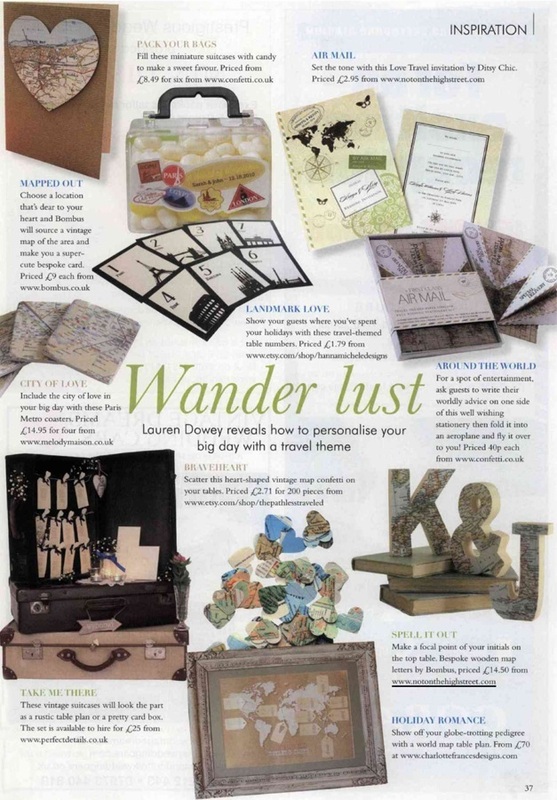 Lauren Dowey reveals how to personalise your big day with a travel theme. Spell it out: Make a focal point of your initials on the top table. Bespoke wooden map letters by Bombus. Mapped out: Choose a location that's dear to your heart and Bombus will source a vintage map of the area and make you a super-cute bespoke card.